Built in 1989 and extensively renovated in 2007, the beautifully appointed condominium residences of Waters Edge offer the best in seaside living. Located in Garden City, just 10 miles south of Myrtle Beach, Waters Edge features one, two and three-bedroom condominium residences, all of which boast an oceanfront location, a private balcony ,a fully equipped kitchen with a microwave, and a washer and dryer. Read more about Waters Edge real estate. Enjoy the warm, gentle sea breezes, the sweeping views of the wide beaches and listen to the crashing waves of the Atlantic from the privacy of your oceanfront balcony! The one-bedroom units of Waters Edge accommodate up to six people, the two-bedroom units accommodate up to eight people and the three-bedroom units accommodate up to 10 people. 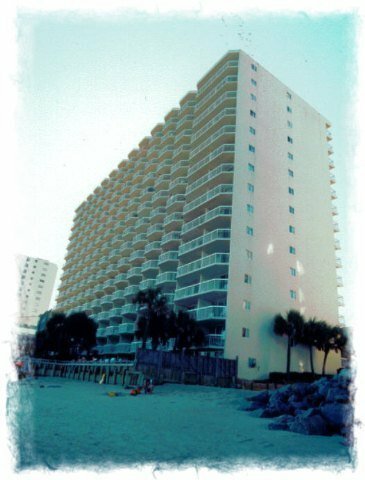 This resort address features 107 rooms, 15 floors, and a fantastic, oceanfront location along North Waccamaw Drive in Garden City. It is also just minutes from the famous Garden City Pier. Myrtle Beach is also just minutes away, as are the seemingly endless attractions which are found there.